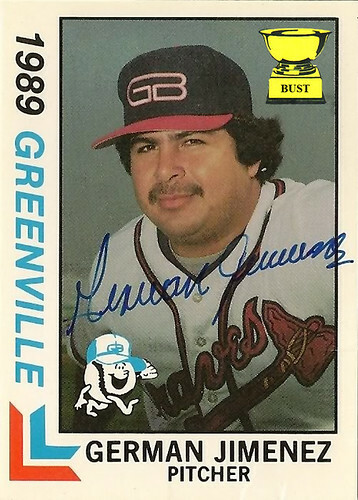 It's a mistaken-identity Matchup: Sure, we're aware that the above two cards both feature pitcher German Jimenez, and that Fleer just got his first name wrong (go figure). But that won't stop us from pitting one chunky man against himself. Synopsis: German survived a blitzkrieg from his made-up counterpart to take a narrow victory. 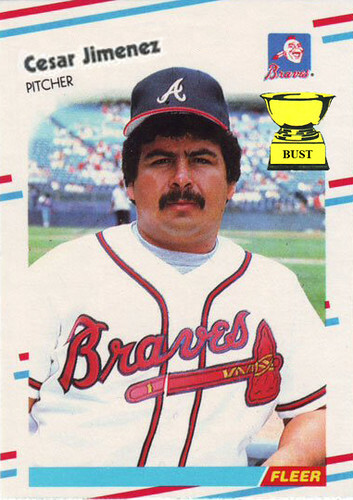 There will be no hailing Cesar, and definitely no hailing Fleer. Real nice work, guys.